I make handcrafted cold processed vegan soap. All are Palm Oil free and contain no SLS, parabens, BHT, phthalates, or aluminum. I use great care in developing a personalized product to ensure you receive and enjoy a spectacular bar of soap. I’ve been a knitter for about 16 years and have been making soap for the past few years. 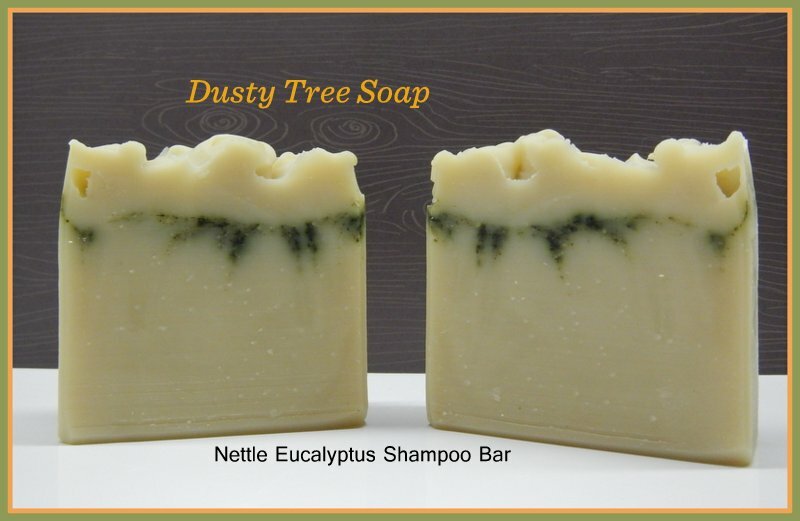 Dusty Tree Soap came about when I had kids and I was concerned about the soap I used on their bodies. I didn’t want to use nasty synthetic or weird chemicals on my babies’ brand new skin. It is our largest organ and we need to treat it well. 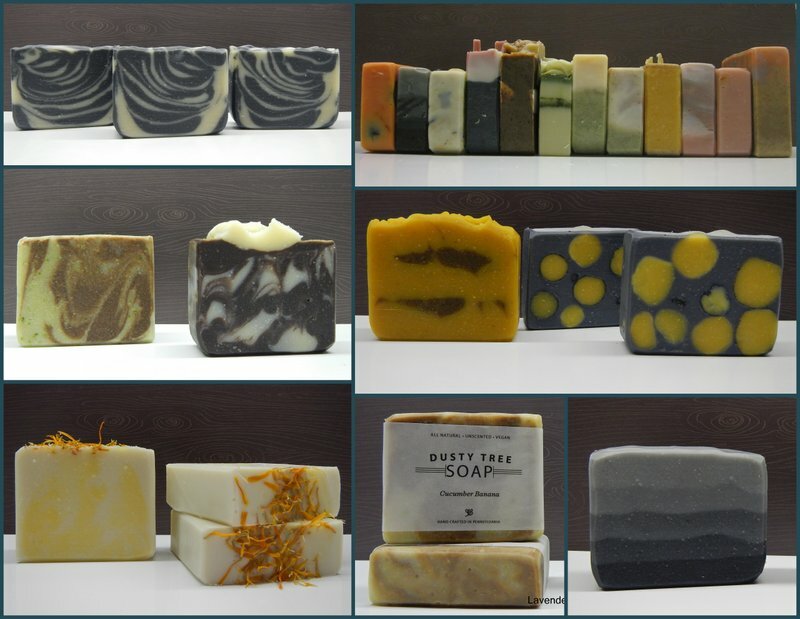 I had a hard time finding pure simple handcrafted soaps without all of the scents. I wanted soap that would clean, be gentle to their skin and not smell like the perfume counter in a department store…..so I decided to make my own. It really is just soap, but it is amazing what you can do to make each batch totally different and unique. I’ve tried to make duplicate batches and they always turn out a bit different. So I enjoy the simplicity of the formula and method, but love how you get to do different techniques, additives, or who knows what else to make each so different. I’m always experimenting with new things. My kids and their endless questions of why and how things work. I’m fascinated by their curious minds. 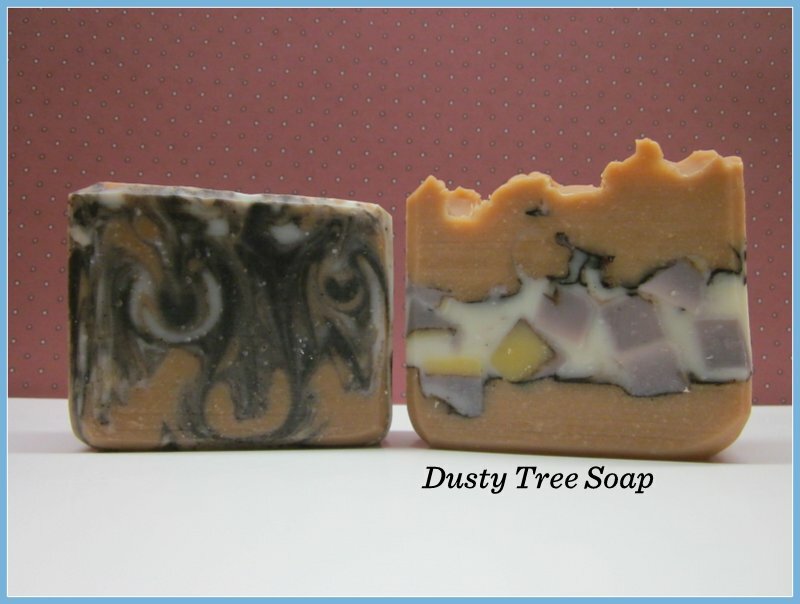 My soaps are all natural with no dyes or colors and I rarely use scents. I don’t use preservatives either. I add Rosemary Oleoresin, which contains antioxidants which are oil soluble compounds derived from rosemary. A natural preservative, it prevents rancidity. I love to experiment with different beneficial additives and have been on a food kick as of late…tomato, pumpkin, cucumber & bananas. All totally great for the skin! Usually it is the soap I’m currently using, but I really favor my Lanolin Soap. I use it to wash all of my woolens and it is super moisturizing in the shower. I also, love my shampoo bars. To make them extra squeaky clean with some honest to goodness soap! I have a hard time surprising people with gifts…they usually know they are about to unwrap either something hand knit or a bar of soap. If they are extra special they may even get both. I’m so thrilled to see everyone’s creativity. Some write patterns, some dye wool, some teach classes, it is endless and so exciting to know that you can never stop because there is always something new you can do or learn. Some of the best soap I have ever used!!! !